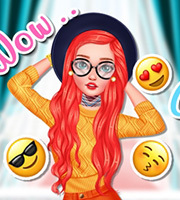 Description: Ellie is going to Coachella this year and wants a really unique look! 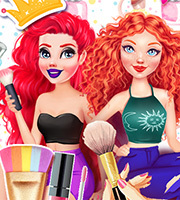 This is your chance to shine as a makeup artist and put your skills to the test. Start the makeover with a cute spa session to make sure Ellie as the smoothest skin. After that get ready for some fun! Combine the most amazing colors, glitters and eyelashes to create a stunning makeup look. 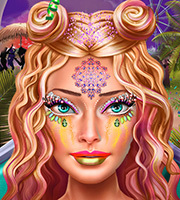 The face paintings will add that special something to the festival look. Add a beautiful hairstyle and Ellie will be the star of Coachella!